We have a program for the Scouts (Boys and Girls). You can come and spend the night at the museum for a small cost of $35.00 if your group is a member of the museum, otherwise it will cost $65.00. We will review E.D.I.T.H., Basic 1st aid, make a 1st aid kit and have a scavenger hunt. We do not have a kitchen so you will need to bring your own food or order a pizza. Please contact us for reservations and questions at our email efb5m@outlook.com. 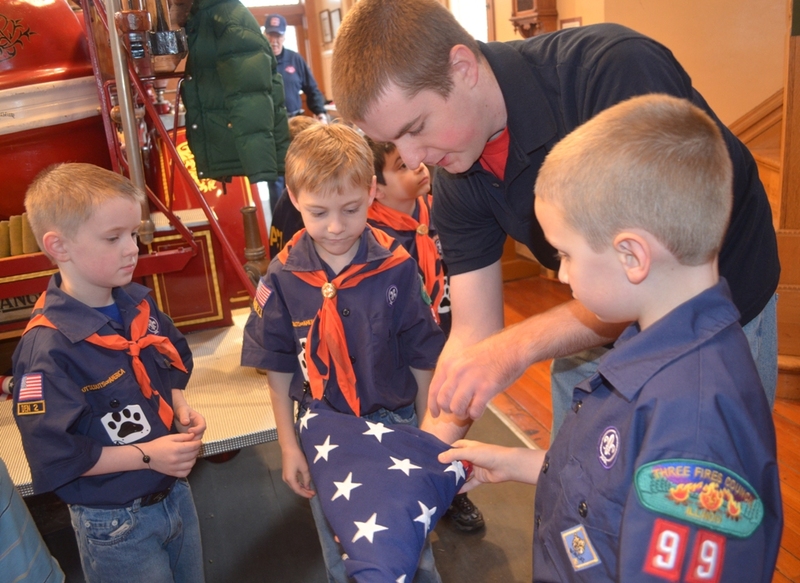 Do you need an outdoor flag ceremony, knot help and to visit a historic municipal Fire Station? Fire Barn No 5 Museum. Please call 847-366-3646 to make an appointment. Leave a message with your name and phone number, or email efb5m@outlook.com and we will get back to you back to setup the appointment. We ask that your pack become a member of the Elgin Fire Barn No. 5 Museum for $30/year to help fund the education program and support the museum. What does it mean to be a member? After you pay for the membership your pack members can come for free and get free ride on the fire engine at our open houses, just by showing up the membership card and your overnight education program will cost only $35.00 verses $65.00.. 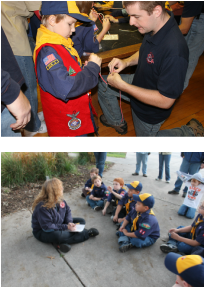 If you are not a Scouts and would like an education program, contact us and we will work with you.